One of our first motivational speech videos from one of the best known trainers in all mixed martial arts. Firas Zahabi is regarded as one of the elite coaches in the sport of MMA. Tristar gym based in Montreal Quebec Canada is the home to an array of top level fighters. Including none other than many peoples pound for pound king. The former UFC welterweight and middleweight champion, Georges St Pierre. As well as an array of veteran and up and coming talent. Outside of coaching and training alongside this elite group of fighters. Firas Zahabi is widely known for his philosophical and training related chats he does via his YouTube channel. Not just training his fighters physically, he also focuses very much on the mental aspects required to be a top level competitor in the sport. 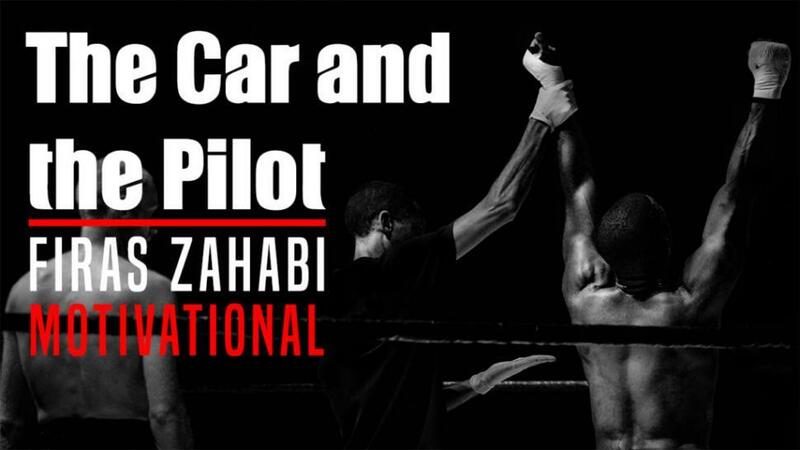 In this motivational video Zahabi looks at his concept of the car and the pilot. And how both of these things relate to one another. Their role in training and the desired results being achieved when implemented correctly. Let the motivational workout speech get you fired up for 2019. As you look to shape the new you, both in mind and body. From his lips to Gods ears, it’s undeniable that the techniques used by Firas and his team at Tristar gym are something we can all learn from to grow. As a motivational speaker there are very few other minds in combat sports who can so elequently put the physical process to words. We look forward to even more motivation of this type throughout 2019.